Why are Business Customers using more non-bank lending options? Over the last 2 years we have seen a big shift to customers requesting non–bank lending options, specifically in the Unsecured Business Loan market where there has been a massive increase in lending options. Below is some of the feedback we have received from customers as to why they often prefer these fast-growth Fintech lenders over the traditional banking option. Bizpal recently had a client who wanted a small Unsecured Loan for a marketing expense to help drive more sales. The application was approved within the hour and settled by the lender same day - the customer received funds that same night! Customers are aware that the Banks are likely to have a better borrowing rates, but the move away from using mainstream banking options appears to be on the increase due more options, faster service, and simplified processing. If you would like more information on Business, Equipment, or Personal Loans, call our friendly team on 1800 011 981. We are here to help! 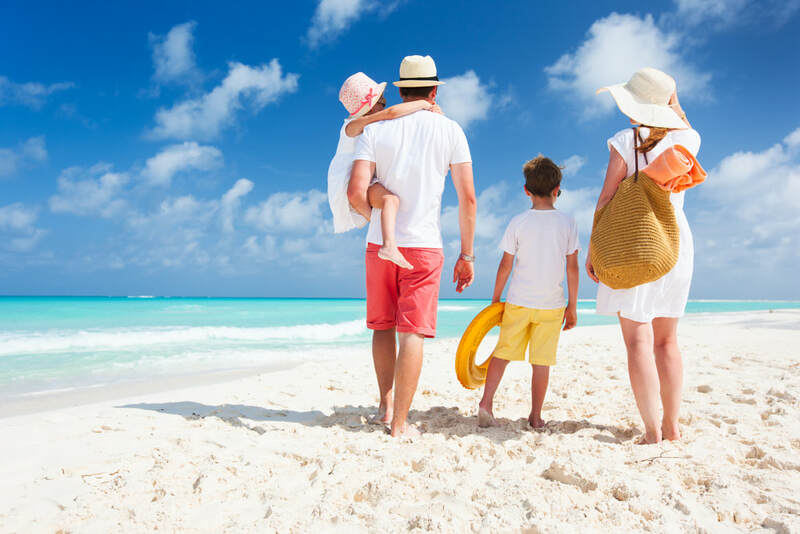 Although we all love a well-deserved holiday, Business Owners often find that their cashflow is impacted. Every year we like to circulate to our clients some tips that may help avoid unnecessary financial pressures. Take the time to review revenue projections for the next 3 to 4 months. What impact will holidays coming up have on your financials? Try our Free Business Forecasting Tool. If you are having issues with prompt payments, options are available such as Invoice funding which is often an easy solution. Another option to look into is offering a discount to clients who pay promptly. Review operating costs on a regular basis. Can savings be made by changing suppliers or negotiating a better rate? Ask suppliers if they will discount for advanced payment or if they have flexible payment terms. Plan ahead, not in the moment. A plan will keep you on track and also provide piece of mind. As an example, if you are looking for a Short Term Unsecured Business loan the best time to apply is before you need it. At time of application, many funders will request your last 90 days bank statements and base their assessment on revenue for that period. If you apply for finance when turnover is down due to a Holiday period, it may impact on the assessment and approval amount. Take time to relax without worrying about the business. Before you know it, the break is over and you're back to work. For information on Funding solutions please don’t hesitate to give our friendly team a call on 1800 011 981, we are here to help. ​One of the first questions a Finance Broker is asked is “What is your best finance rate?“. It is a question that is often imbedded into us as consumers and it's important to understand that there are a number of factors lenders look at when assessing an application and determining a rate. Your credit score is one of them. Recently, Australia’s credit reporting system changed significantly as a result of legislative reform. Keep in mind that when applying for business finance the lender will complete both personal and commercial credit checks. Obtain your free credit report before talking with your Broker, as he or she will be able to obtain a very good rate if you have a high credit score. If there is some minor adverse, have a chat with your Finance Broker. They will have options or advice. Avoid too many credit enquiries. A reputable Finance Broker will assess your application to suit a lenders criteria before submitting, rather than risk multiple credit enquiries causing a decline effect on your credit file. As mentioned, your credit score is one important component of applying for a loan or credit. Your Finance Broker can share other factors that will help you. For more information or a friendly chat with a Bizpal Broker simply call 1800 011 981. Bizpal have over 25 lenders on our panel and an approval rate of 98% . There are many things lenders take into consideration when assessing an application, and it’s important to share as much information as possible with your Broker before an application is submitted. Your Broker is likely to have various finance options and a good Broker will understand these lenders criteria's and how you fit before submitting an application. This ensures you obtain the best product, rate and approval conditions. How will the asset/loan increase your revenue or decrease your costs? Evidence of work – most lender’s will want evidence on how this asset to be funded can be paid for. Providing a work letter, letter of intent or contract will help support your application. Usually finance rates for a new business will be higher, however as your business grows a good Finance Broker will be able to keep you updated on your funding options. Remember; the Broker is on your side and wants to secure the right and best option for you to build a long-term relationship. Call our friendly Bizpal Team today to discuss your requirements. Our approval rate is 98% with over 25 lenders. Purchasing inventory that will turn quickly and provide additional profits can be a good reason to use a short-term business loan. Businesses sometimes require additional capital to meet expenses while bridging one season to the next. Starting up a new project sometimes requires more capital than what is available from cash flow. Paying for repairs on equipment that is critical to the operation of your business can be a good reason for a short-term small business loan. Getting your name out there and attracting new business can be a good use of a business loan. This can be a great move, if there’s a clear connection between the hiring decision and an increase in revenue. Bizpal can help with a range of finance products! Call us on 1800 011 981 to discuss your finance options. Traditional and mainstream finance options can be difficult to obtain when you have a limited budget, pressing needs, or are a new business. This is where Rent To Own finance products come in. Typically fully tax deductible, they are also off balance sheet (will not impair your ability to borrow in the future), are new business friendly, will consider older assets, and accept dealer and private sales. 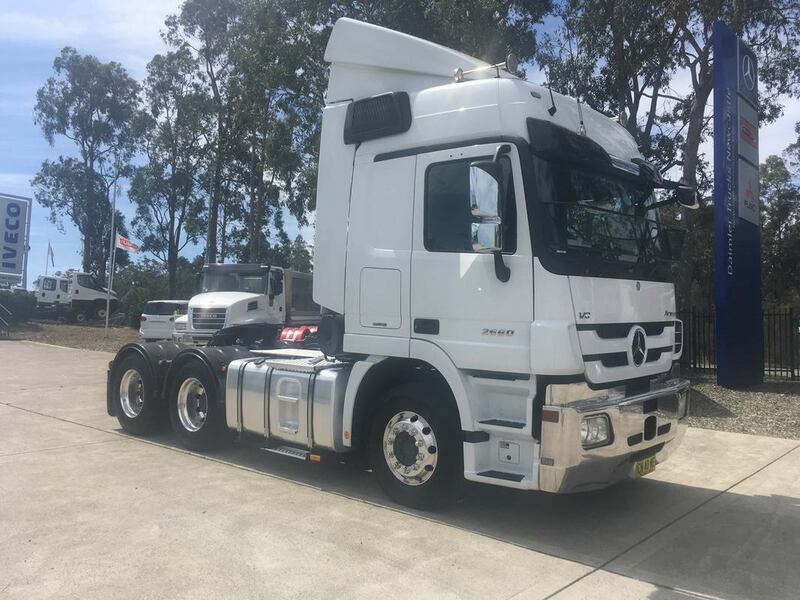 For a no-obligation quote or more information call our friendly team on 1800 011 981 or contact us. 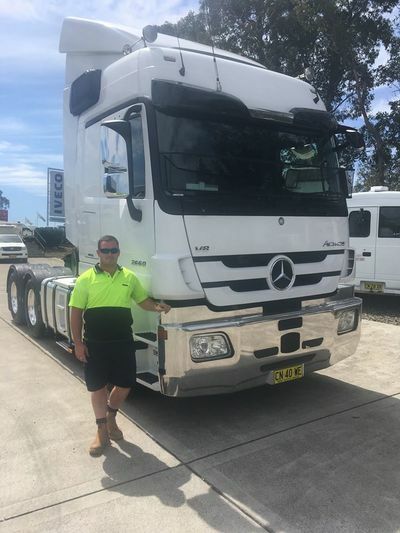 Bizpal recently assisted Ben from B & T Trucking with his purchase of a Mercedes Benz Actros for his growing Transport Business. Congratulations Ben - looks great! Give Bizpal a call today on 1800 011 981 to discuss your finance needs. ​Holidays should be a thing to enjoy. However sometimes these well-earned breaks can put pressure on a business due to a decrease in income whilst operating costs remain the same. Below are some tips to help your piece of mind over the break. Review what your outgoings are projected to be for the period – then compare what your projected revenue will be. We recommend being conservative on your projected revenue. Use past data from previous years or maybe take an average month & divide by working days. This will give you something to work from. Every business is different, some even experience higher revenue over Christmas. Now you have your forecast, if there is a short fall consider how you can minimise it. Can there be a reduction in your operational costs over the period? Look at ways you can get cash in before the break. Look at shortening terms or offering a discount to customers for early payment. Access to working capital. Do you need to transfer funds from another account to cover short term? Or maybe a short term Unsecured Business Loan. The best time to apply for an Unsecured Business Loan is actually before you need it. Most Cashflow funders assess your last 90 days bank history, so if you apply after you need cash it may reduce the amount you are approved for. Be proactive in advance to the break, let yourself relax rather than worrying through what could be a great break. For information on Unsecured Business Loans, simply visit our website and apply within minutes or call us on 1800 011 981. New transport operators: Seeking finance or looking to reduce current payments? Starting a new business or managing a growing business can be challenging. The good news is there are finance providers who will help new & fast growth businesses. Bizpal have a panel of 25 Lenders and an approval rate of 98% for new, fast growth, and established businesses. Selection of Equipment – Lenders prefer to see what they are funding before offering a pre-approval. We have some lenders who don’t mind age of equipment where others prefer newer models. Dealer Sales or Private Sales – Dealers Sales are typically an easier process; however Private Sales are welcomed by most finance providers. The Lender may require an independent inspection and valuation with a Private Sale. Servicing of Proposed Loan- A Lender will want to see how you can make the payments comfortably. If you have a work letter, contract, or cash flow forecast it can help your application. Your Broker can provide guidance before submitting. Your Preferred Finance Option – Some of our new business clients prefer a short-term commitment with flexibility to return the equipment, where others request a fixed longer term. Your Broker can provide you with options available. As a business becomes established more funding options become available. In some cases, it could be a case of an easy refinance to reduce payments, or keeping in mind that with your next equipment purchase more competitive options may become available due to your time in business. What term would you like? 24, 36, 48 or 60 months? Are you looking to borrow again in the near future? Payment History – A new lender will look favourably if you are making current payments on time, especially if the new payments will be lower. Credit File – We will always discuss your credit file prior to submitting an application to avoid unnecessary enquiries on your file. Call us today for a no obligation chat and let us take the fear out of finance for you! A good repeat customer of ours recently noted “It seems that to borrow from a bank, you first have to prove that you don’t need the money”. It can sometimes appear that way, so it is important to remember that a financial lender makes their revenue on approvals - not declines. ​We have over 25 lenders on our panel, with some happy to consider new businesses (or what are deemed fast growth businesses), and others who are more conservative and prefer businesses operating for at least for 24 months with financials and security to support. Discussing your business situation with your broker upfront leads to a faster and easier application process.